” Grand National And Other Events Cruelty Adverts contribute towards site running costs, but currently may not fit with the site ethos. We will continue to work on a solution. The Grand National horse race, & the horse racing industry in general, is the cause of great suffering to a huge number of horses: From horses that die on the race course, to ones killed, abandoned, neglected, starved and sold to be slaughtered for the horse meat industry. 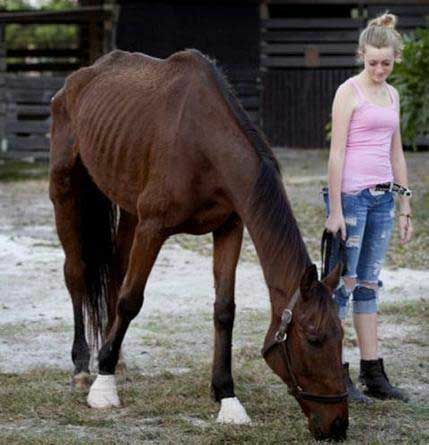 This happens to race horses when they are no longer of use to make money with, or when they do not meet expectations to begin with. Horse racing is a hugely lucrative money driven industry that exploits these highly intelligent, sensitive creatures for human gain. When they lose their monetary worth, they are routinely discarded without thought. Many thousands of horses are produced annually in order to be able to generate a few particularly fast ones to compete in horse racing. Of the many thousands bred to race, very few make the grade. The fates of many of these horses are often cruel and brutal. This can also be true of ex-race horses, retired from competing because they no longer make money. Many are retired young, before even fully maturing. Despite overwhelming evidence, many people refuse to believe that this goes on in the industry, due to not having witnessed it themselves. 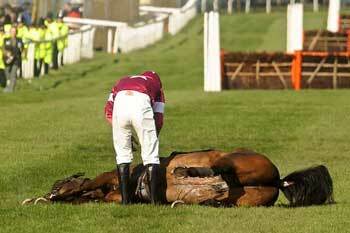 Since 13th March 2007 there have been more than 800 on-course thoroughbred horse fatalities in Britain alone. Over 400 horses are raced to death every year (including non-thoroughbed horses and off-course deaths caused by racing). About 38% die on racecourses. Others are destroyed as a result of training injuries. More are purposely killed, abandoned or neglected to death because they are no longer considered commercially viable. Over 800 thoroughbreds die from racing-related injuries every year in the USA. Horses can be forced to race even while injured, causing enormous suffering, and are often not allowed sufficient recovery time. Most race horse owners are not willing to pay high veterinary fees for an injured horse who is unlikely to ever race again. and many are sold to be slaughtered for the horse meat industry, as are many retired race horses. In the UK alone, around 3.5 thousand race horses are retired every year. Around one third of those retired race horses are slaughtered for the meat industry. Many others are neglected or abandoned. 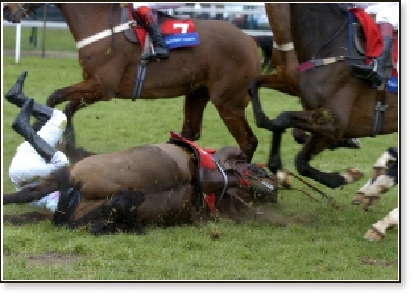 Before improvements to the course after a review in 2012, horses died during the majority of Grand National horse races. The Bechers Brook jump on the Grand National horse race course was the biggest killer, famous for the ground on the landing side of the jump being dangerously lower. During the years 2000-2012, 38 horses were killed on the Grand National race course at the three-day meetings at Aintree. Despite improvements being made to the course, in 2013 horses again died, and in 2016 six horses died as a direct result of racing at the three day meet at Aintree. The Grand National horse race is a huge event in the horse racing calender. More than 70,000 people watch this race from the stands at Aintree racecourse, and around 600,000 viewers from around the world watch it live on television. 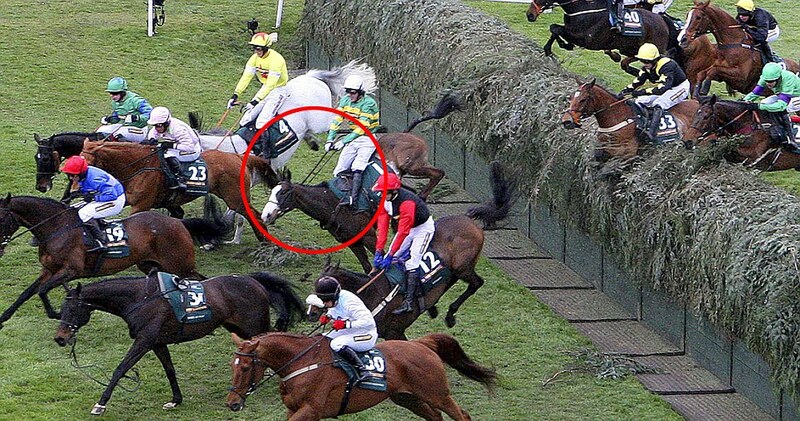 In 2011, two horses died during the Grand National race: ‘Ornais’ and ‘Dooneys Gate’. Although the race course was supposedly made safer for the 2012 race, another two horses died: ‘Sychronised’, a favourite to win, and also ‘According To Pete’. Further horses were seriously injured in the race and only 15 of the 40 horses that entered the race, finished it. Commentators from the BBC who broadcasted the race, failed to even mention the deaths to viewers, as they seem to be considered unimportant to horse racing enthusiasts. It was revealed that Synchronised was very nervous and anxious before the Grand National horse race. He even tried to throw his jockey off his back, unseating him. However, he was raced to his death anyway. In subsequent years, even after the course was made supposedly safer, horses have died in 2013 and 2016. Emmerdale, commented on Twitter “RIP Synchronised. Sychronised knew what was going to happen but was forced to race”. The owner of According To Pete expressed his grief about his horse being put to death after falling and suffering a fractured leg. He said he would never again consider entering another animal in the Grand National horse race and added “You always think it’s going to be someone elses horse”. To learn more about horse abuse, including about horse meat, please click here. Although this page focuses mainly on the Grand National, the whole horse racing industry is responsible for horse abuse. There are sadly many horse racing events where horses forced to run suffer and lose their lives. For example, at the Cheltenham Festival, UK, six horses lost their lives four days, at the 2018 event. The British Horseracing Authority say they will undertake a review. In 2012 they undertook a review at the Aintree racecourse, where the Grand National is held and made improvements to the course. However, horses continue to die and suffer as a result of the event. You can avoid supporting the horse racing industry by never placing a bet on a horse, never organising or attending an event held at a Horseracing ground, and raising awareness of the issue. You can share the information you have found on this web page on social media or blogs. You can also help by encouraging your friends and family to boycott any support of Horseracing and their venues. Music acts sometimes perform at racing grounds. If you hear of singers or bands performing at such places, contact them to explain why you think they should use an alternative venue, and encourage your friends and family, and people on social media, to do the same. 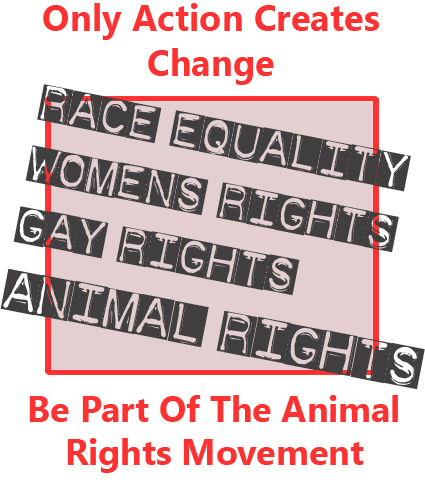 On this site you will find many varied ways you can help stop animal cruelty, and there are ways that will suit everyone, no matter what your personality or lifestyle. You can learn about how to avoid funding animal abuse you are not even aware you are funding. If you would like to find organisations needing your action and support to fight against a specific type of cruelty, enter the type of cruelty you want to help stop (for example “Race Horse Cruelty”) into a search engine online, or search bar on social media.